Interested in photography or location shooting at York Minster? Here’s what you need to know about working with us. York Minster is one of the world’s most magnificent cathedrals, with a history dating back around 2,000 years. Its architecture, religious significance and stories area a magnet for commercial photographers, TV and film companies and for PR companies. Unless you are filming for a TV news programme or documentary, we charge for all commercial filming and photography within the Minster Precinct. Our charges are based on the impact of filming in the locations, including on worship, our visitors, our neighbours (such as businesses and residents) and our staff and volunteers. 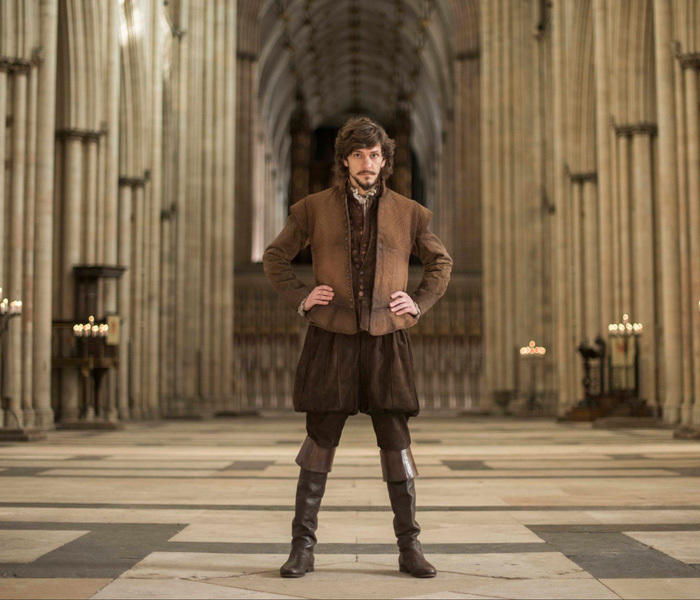 York Minster and its precinct has been used for a number of recent film and TV dramas including the BBC’s Jonathan Strange and Mr Norrell and ITV’s Victoria. Locations within and around the cathedral include; Inside the Minster (the Nave; the Quire; East End; West End; Chapter House, The Old Palace (located in Dean’s Park), Dean’s Park, St William’s College (please note: availability severely restricted due to restoration work, The South Piazza. 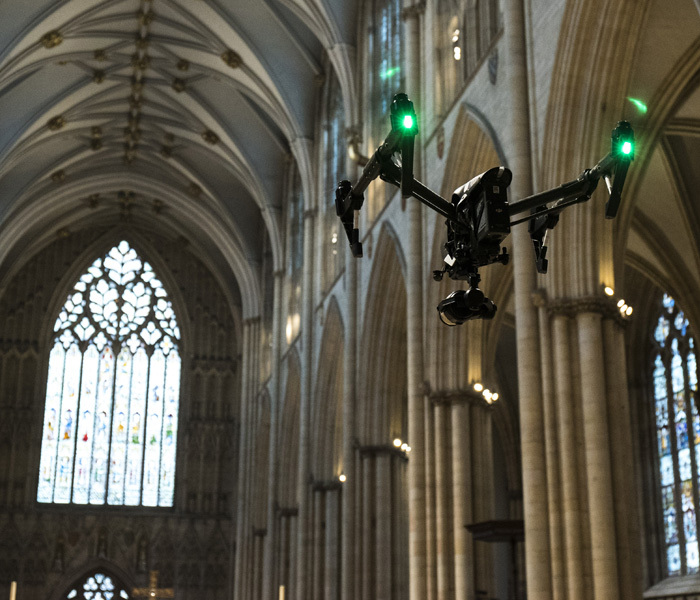 The York Minster precinct is a no-fly zone for drone filming and photography. 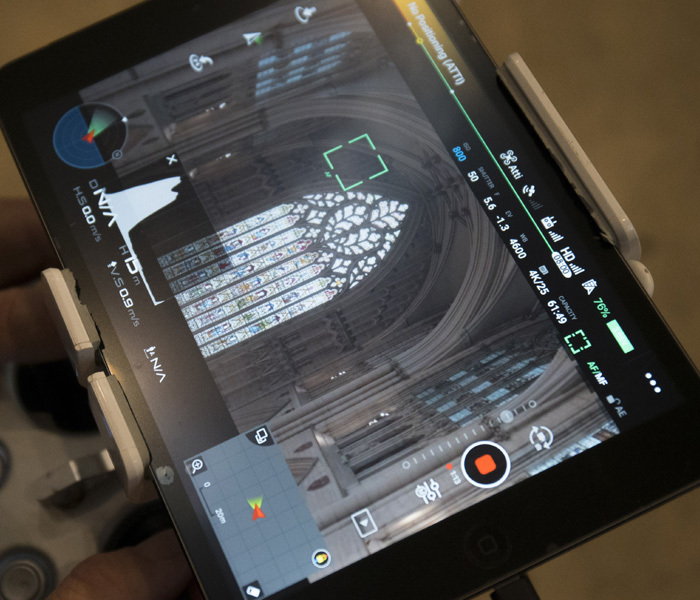 We are currently developing a pool of drone footage of the cathedral which we may be able to make available for your project – contact the Communications Team for further details. We receive a large number of requests each year from student photographers and film-makers who wish to film or photograph York Minster for their coursework and academic projects. Each request is considered on a case by case basis and the outcome often depends on our staff’s availability to support and supervise students. Commercial photography (including wedding photography), inside York Minster or Dean’s Park can only take place with the express written permission of the Chapter of York and on completion of the relevant licensing and copyright agreements. Unless your marriage or blessing ceremony has taken place at York Minster it is unlikely the cathedral will be able to accommodate wedding photographs.